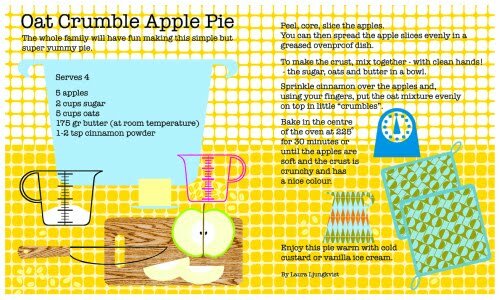 This week illustrator Laura Ljungkvist is sharing with us her recipe for oat crumble apple pie (see the bottom of this post on how to access a larger version of the recipe). I was super excited when Laura sent it over because not only is it a great image, but I love love love apple crumble! Especially with ice cream! Actually, if isn't served warm, with ice cream, I may throw a hissy fit! Not that it isn't yummy just on it's own but the heat and the ice cream transform it from yummy to heavenly. 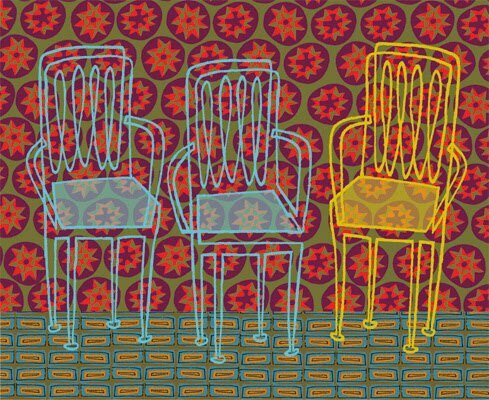 Laura Ljungkvist is a Swedish artist based in New York whose work incorporates colorful images, geometric shapes, and minimalist design. 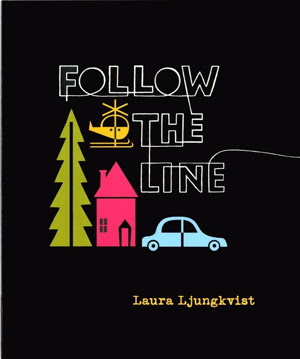 Known for her incredible drawings that are built around one continuous line, Laura has illustrated numerous children's books, including the popular Follow the Line series. 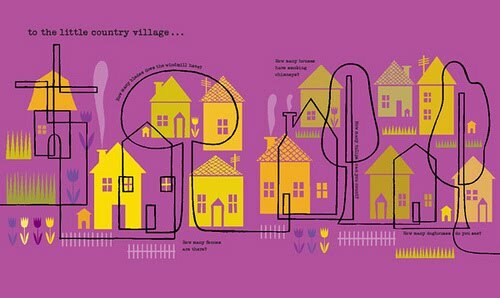 In addition, Laura has also created designs for clients such as Harper’s Bazaar, House and Garden, The London Sunday Times, Mademoiselle, The New York Times, and MTV, among others. 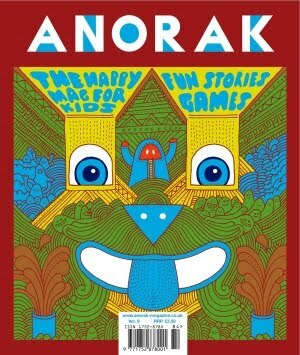 In fact, the illustration for apple crisp that Laura sent over first appeared in the awesome British children's magazine, Anorak. Below is the cover of the issue in which Laura's recipe appears. It also happens to be the chocolate issue! So there's sure to be lots of great drawings of chocolate by really talented illustrators. Check out their Web site, right here. Click here to visit Laura's Web site. Thanks, Laura! A larger version of the recipe appears after the jump, at the bottom of the post. Click picture below to see larger image. super cute artwork! and there is seriously nothing better than apple pie. making it AND eating it. 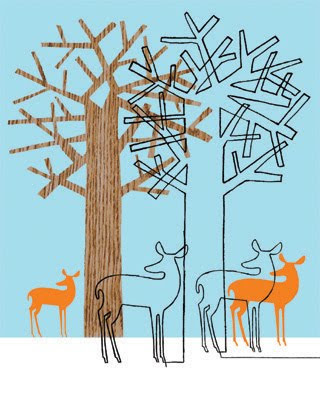 I love that deer picture! I wish I could buy a print of that. love the recipe card...it's so cute and makes you want to get baking right away! Gorgeous recipe card! ...Just one question, is the oven temperature in degrees Celsius or Fahrenheit?